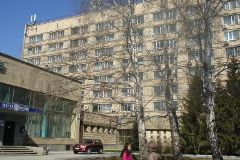 Housing at the symposium SCAN'2012 is available in the hotel "Zolotaya Dolina" and in the hostel of Novosibirsk State University. 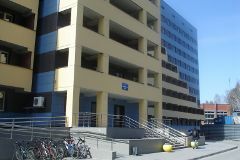 They are situated in Akademgorodok, not far from the Institute of Computational Technologies and House of Scientists where the symposium will work. It is preferable to make hotel booking through the organizing committee of SCAN'2012. Deadline for hotel "Zolotaya Dolina" reservation is August 15, 2012. The organizing committee cannot guarantee booking rooms in the hotel after this date. conferences organized by Academy of Sciences. per night in July, 2012.